Lancome Artliner in Navy joined my not-obsessive-at-all collection of blue eyeliners last month after I finished a couple of older ones. I chose Lancome because a) I was at Ulta, and b) I'm an Artliner fan. The shape and mechanism of the Artliners have changed since I started using these pens over twenty years ago. The tip is longer, spongier, and floppier. I seem to remember being able to draw a thinner line, but it's been ages so I may be utterly off. 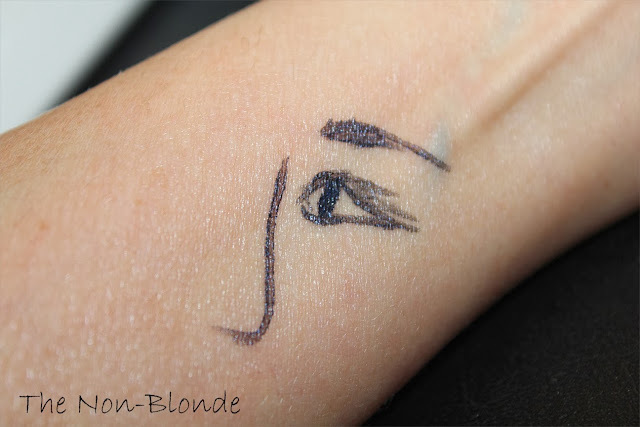 In any case, Lancome Artliner is still a great eyeliner to create a good shape. It give good control over how much liquid liner is dispensed, and the tip is soft and pliable, so there's no scratching or pulling. Navy is a beautiful color, dark enough to replace black for everyday use. When used sparingly along the lash line the shimmery finish you see above isn't noticeable. I'm not sure why Lancome chose this finish (I think mica is one of the ingredients) instead of a matte or a glossy one, but I don't mind too much. Navy is pretty and I use it on a regular basis. 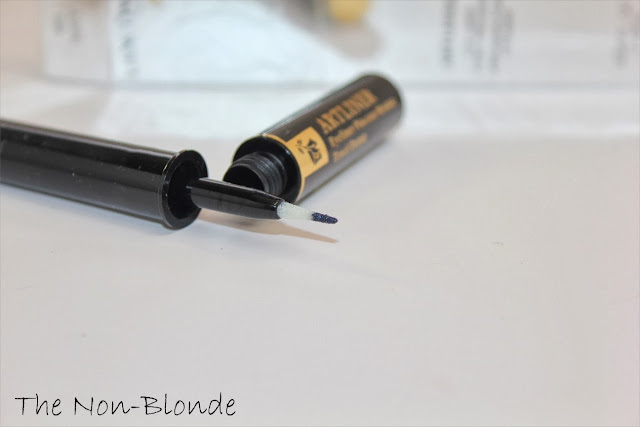 Lancome Navy Artliner ($30.50) is available at the counters, Sephora, Ulta, and lancome.com. Lancôme at Ulta? Lucky you! We have entry-level luxury brands (LORAC, Stila, BE). Perfect timing! I was just discussing navy liners and shadows with my makeup buddy. I want to do a navy smokey eye. Which liners and shadows would you recommend? Thanks for your time! Hi, Clare! Navy liners are my favorite. There are many reviews here on the blog, just do a search and you'll find many options.